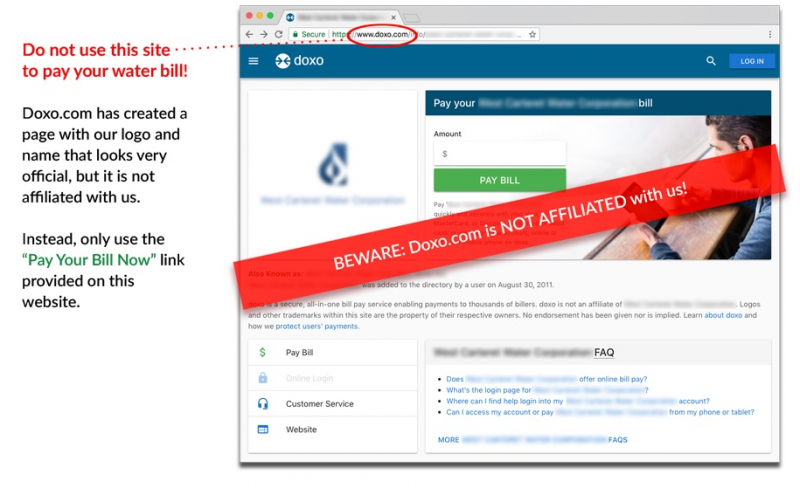 Recently some customers reported being directed to a website called DOXO to pay their bill online. We would like to state that the Town of Greenevers is in no way affilliated with this service. If you have questions or are unsure please call the office at (910) 289-3078.